KARACHI, Aug 11 (APP): Brigadier General Badr Bin Khalfan AI Zadgali, Commander Royal Oman Police Coast Guard, who is on a four-day visit to Pakistan along with a delegation, on Thursday called on Managing Director of Pakistan Maritime Security Agency (PMSA), Rear Admiral Jamil Akhtar. He held detailed discussion with his counterpart on professional matters, said PMSA statement here on Thursday. It said that Commander ROPCG alongwith his delegation is on a four-day visit to Pakistan on special invitation of Director General Pakistan Maritime Security Agency. The dignitary was received by Rear Admiral Jamil Akhtar, DG PMSA at Headquarters Pakistan Maritime Security Agency. A smartly turned out contingent of PMSA presented Guard of Honour to the Commander ROPCG. Commander ROPCG called on Director General Pakistan Maritime Security Agency in his office, where he held detailed discussions on professional matters with his counterpart. Bilateral cooperation meeting between ROPCG delegation and PMSA officials was held and various matters of mutual interest like exchange of information, personnel training, staff talks, port visits, joint exercises etc. were agreed upon by both sides. This visit is expected to set a solid foundation for enhanced cooperation between the two organizations and likely to make significant contribution to broader maritime cooperative engagements. The dignitary also visited Quaid-e-Azam’s Mausoleum and laid a floral wreath. The dignitary also visited Museum inside the Mausoleum where they saw the different items that remained in the personal use of Quaid-e-Azam. Later on the dignitary called on Commander Pakistan Fleet Vice Admiral Syed Arifullah Hussaini and Commander Karachi Rear Admiral Farrukh Ahmed in which maritime challenges and other issues were discussed. 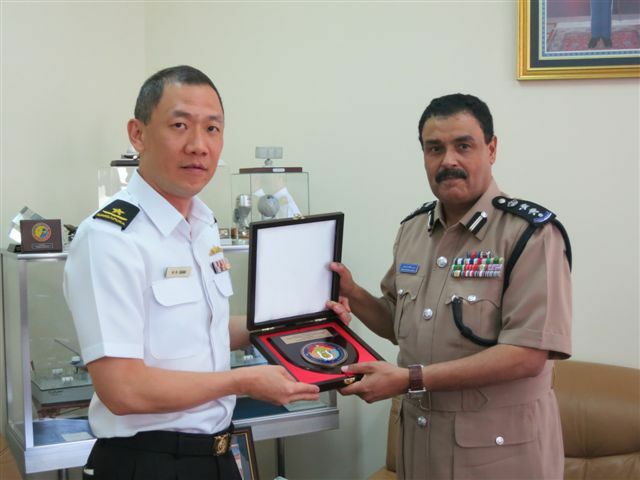 Brigadier Badr Bin Khalfan AI Zadgali appreciated the efforts of PN and PMSA for eradicating sea piracy, human trafficking, smuggling and other criminal activities in the region. Later on dignitary also visited Pakistan Maritime Museum, the statement added.